This summer I was delighted to host 185 students from 22 area high schools in Washington, DC for the Pete Sessions Leadership and Growth Program. 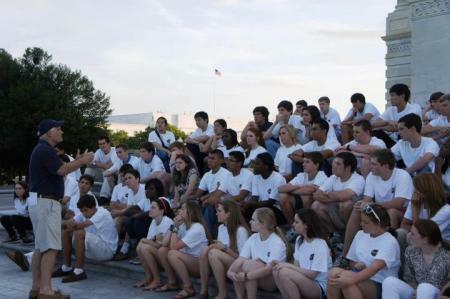 Every summer in June and July, students at the high school level are given the unique opportunity for a comprehensive experience of our nation’s capital. I always enjoy learning the perspectives and aspirations of young citizens in my district, and I was pleased to have these students participate in my program. Students who are interested in participating in the Pete Sessions Leadership and Growth Program may contact my Program Manager Sydney Stone at 202.225.2231 or Sydney.Stone@mail.house.gov.